Hello! My name is Oleg Torbosov. I founded Whitewill. Most real estate agencies write a ton of corporate patterns and cliches, flavored with juicy adjectives such as "professional", "best", "leading" in "For developers" section on their websites. However, there is no soul, and often there is no truth behind these words. "They hastily made advertising of our complex with errors, old renderers and not actual prices. Their brokers do not know the objects well and answer the questions incorrectly, misleading a client. They forget to call customers back or vice versa - call so often that a client fucks them off. Their brokers may just ignore coming for a preview. They sell that object that provides them higher pay-off, even if it is not a finished building. And they steal our traffic by launching their contextual advertising." When I created Whitewill, I decided not to make the same mistakes as our colleagues. This page describes to the developers the basic things I took as the core when creating Whitewill. I teach Whitewill brokers not just know the objects, navigate the market, make no mistake with prices and climb on construction sites. I teach them to be human. For those who wants to work in our company, our HR-department conducts two-stage testing. We check every broker for productivity and personal qualities. A well-chosen team allows us to sell more. Now there are 12 brokers in the team. The sales department of a developer in our segment usually has 2-4 people. We manage to make more calls, appoint and hold more previews, simply because we have more people in the team. Brokers work without salary - only for a percentage of a transaction. This makes them move and work even on weekends. Every month a developer spends millions of rubles on advertising of its objects. We have almost the same budgets, but the cost of an application is several times cheaper, and therefore we get more applications. Why? Under Russian law, the official website of a developer must contain full information about a facility. Excessive content leads to the fact that a websites become heavy, the pages are loaded for a long time and try to be very good-looking. As a result, conversion falls. In our team, in addition to two marketing specialists who are responsible for the traffic, there is a conversion specialist. His task is to analyze our website visitors through Webvisor and encourage them to call and submit applications. We move the buttons, work with the forms, texts, download speed. Due to the work with the conversion, we receive more calls and applications and arrange 2-3 times more previews for our customers than other agencies. This is what the developers say. Every month we receive several hundred calls and applications and conduct about 100 previews. Impressions turn into bargains, and everyone is happy. We do not work with external marketing agencies and developers. All programmers, designers, layout developers work in our company. This makes Whitewill a very fast partner and allows making any changes and adjustments on our websites and in presentations on the recommendation of a developer within 20 minutes. Yes, our designers also make great presentations. I think you've all seen different marketing articles about how bad developers process applications. In 60% of cases they do not ask for a phone number, in 45% - do not call back, in 55% - do not ask for the name, in 60% - forget to dial after a meeting. Automation is at the heart of these figures - or its absence. I was very surprised when I learned that well-known agencies in our segment with very high-profile names still work without CRM-system, keep a record of customers in Excel, receive applications by e-mail, and call from a broker's personal mobile phone. Every Whitewill broker works in our CRM-system, remembers about every client and always calls them back. In April, we executed transactions with customers, which we have been communicating with since September. We complete all the touches and never miss. Customers are happy. The developers are happy. All conversations are recorded and listened to by the group leader. Any incoming call is directed to all brokers at once. This allows us to always be in touch and pick up the phone. We accept calls even at night. Customers do not believe that this is possible, but every week several times at 4-5 am the phone rings. - Hello, this is a call from Surgut concerning buying an apartment. Are you working now? - Yes, I'm listening to you. In recent months, we have sold real property on a total sum of a billion rubles, of which 300 million - mortgage deals. And this is in the premium market, where it is often said that customers do not take a mortgage. This result is not accidental. Prior to the opening of the real estate agency, I had been developing "Financial Partners" company for four years, which is the largest credit broker in the country and operates in 45 cities of Russia and the CIS. We figured out how a bank made decisions and what affected the approval of aloan. In Whitewill, all credit bureaus and other bases for checking a borrower are connected. This allows considering a client through the eyes of a bank and making an accurate presentation. Over the past three months, there has not been a single refusal on our clients in banks. Our key partners are Sberbank, VTB24, Vozrozhdenie, Rosselkhoz, Deltacredit. We approve a client mortgage within 2 days in the leading banks of the country free of charge. We usually get an annual rate of 10.4-10.9%. We arrange all insurance and help when executing a deal. We are attracting money for a client on the security of the current real estate. If necessary, we accredit a developer's facilities in new banks. Whitewill has a video content department. We create selling videos for elite residential complexes. Now there are more than 20 videos in our collection. A video with a pleasant voice of an announcer is the best tool for selling houses that are only being built. Our "New Buildings of Moscow" channel operates in Youtube in the first place. It's nice when the managers of developers at facilities show their clients our videos about a complex. We also show videos in the office or provide buyers with a link. This helps us to sell to customers from regions. Every month 3-4 clients from other cities of Russia and the CIS buy elite apartments in Moscow via Whitewill, just watching our video. You can write many paragraphs, but these are all only words. It is better to show yourself not on the screen, but in action. 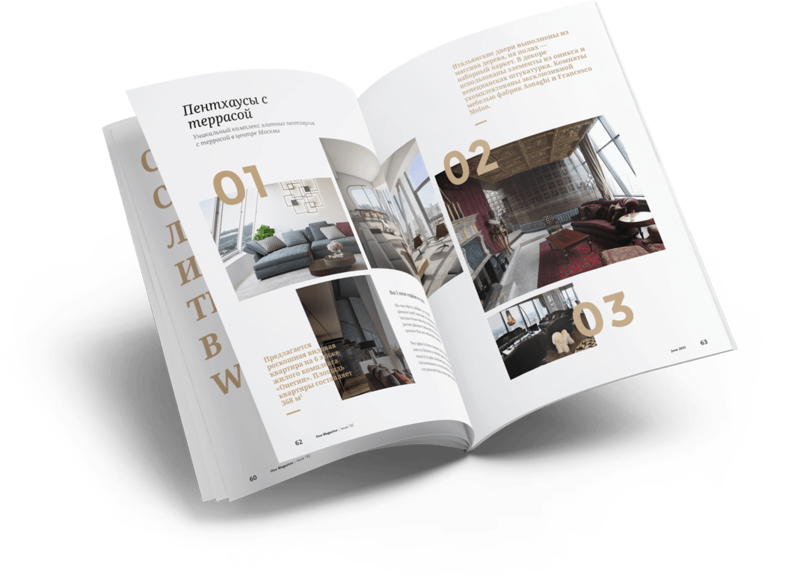 I have developed this page so that you have a little more idea about the real estate agency that loves people, and also loves selling great expensive apartments in Moscow. See you during the negotiations.